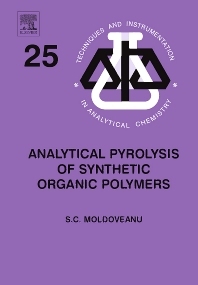 Analytical Pyrolysis of Synthetic Organic Polymers is a follow-up to Analytical Pyrolysis of Natural Organic Polymers, which is volume 20 of the series. The main focus of the book is on practical applications of analytical pyrolysis in synthetic organic polymer identification and characterization. The first part of the book has five chapters including an introduction, a discussion on physico-chemistry of thermal degradation of synthetic polymers and on instrumentation used in analytical pyrolysis, a chapter discussing what type of information can be obtained from analytical pyrolysis, and a chapter dedicated to the analysis and characterization of synthetic polymers. The second part systematically covers the analytical pyrolysis of various classes of synthetic polymers. Some theoretical background for the understanding of polymer structure using analytical pyrolysis is also discussed. Researchers and chemists working in the field of synthetic polymers and analytical chemistry. Dr. Serban C. Moldoveanu is Senior Principal Scientist at R. J. Reynolds Tobacco Company. His research activity is focused on various aspects of chromatography including method development for the analysis by GC/MS, HPLC, and LC/MS/MS of natural products and cigarette smoke. He has also performed research on pyrolysis of a variety of polymers and small molecules. 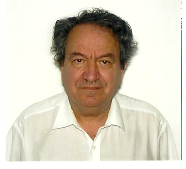 He has over 100 publications in peer reviewed journals, eleven books, and several chapter contributions. He is a member of the editorial board of the Journal of Analytical Methods in Chemistry.